Hello m'fellow Trustinvoguers and newbies! Happy new Year! I can't believe it's 2014 already! 2013 has truly FLOWN by. Talking about New Year, one of my New Years' resolutions is to try and blog much more often, as since October my blog has been rather neglected with only a few posts here and there, due to University work. However, I'm determined to make a much better effort with my beloved blog. So expect more posts at least weekly! 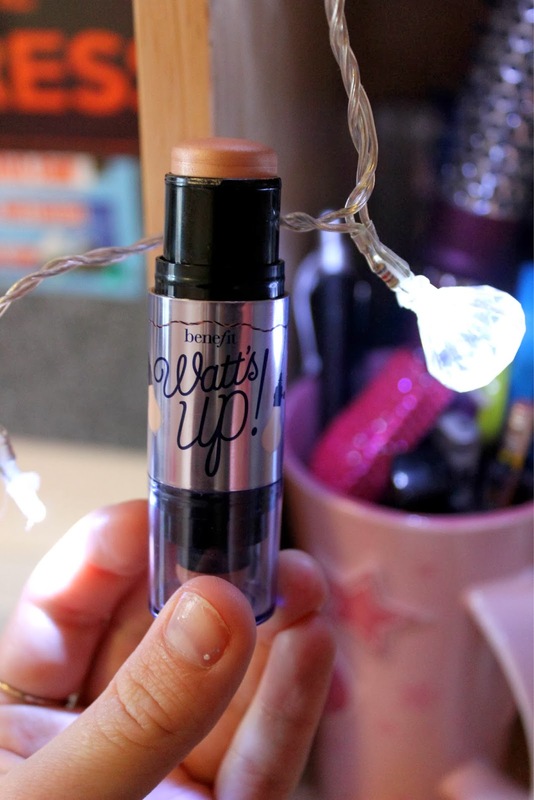 Today i'm going to be reviewing the much loved and raved about, 'Watts Up' Highlighter by Benefit. I was a little bit skeptical about buying this, purely because of the £24 price-tag. However, my parents kindly got it for me for Christmas! The next on my hit list would be the YSL Touche Eclat (I'm rather behind, I know!). The only highlighter I have previously used is L'oreal's Lumi Magique Highlighter which is around £7.99. But, I wanted to stray away from high-street products and try something a little more higher end. After all, it's going on my face! 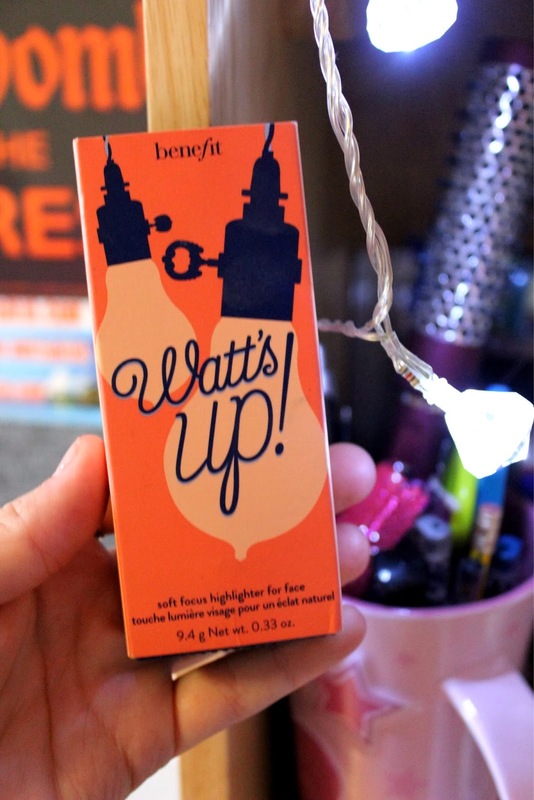 The highlighter itself comes in this little box, and I personally love the fun-looking packaging, it really connects the idea of 'Watts up' with the light bulb, and the idea of 'lighting up' your face. It's just really fun and pretty to generally look at. The shape of the higlighter at the top also almost looks like a light bulb, so it's clear to see that Benefit have thought about the product a lot. The highlighter is a described as a 'Champagne' colour, and I would agree with that. 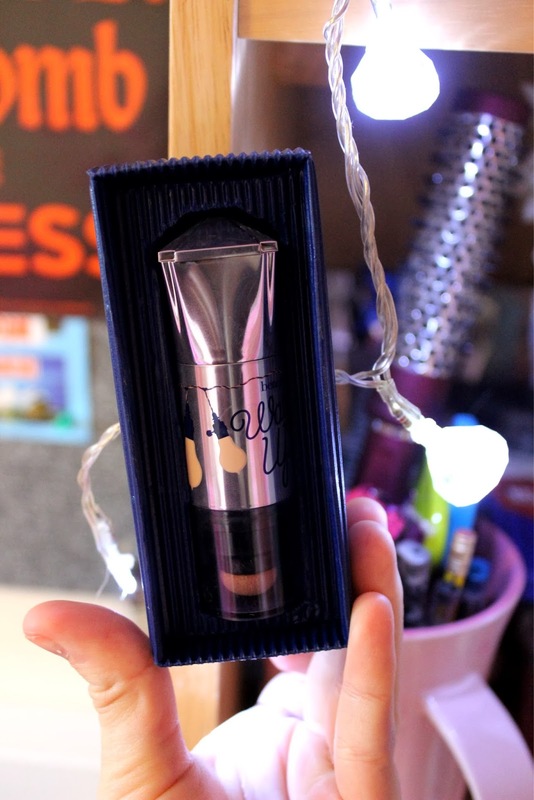 It's also supposed to be a highlighter for all skin types, sort of a 'one size fits all' product which I like, because when it comes to highlighters, it can be difficult trying to pick out a shade that doesn't look to yellow or dark, etc. 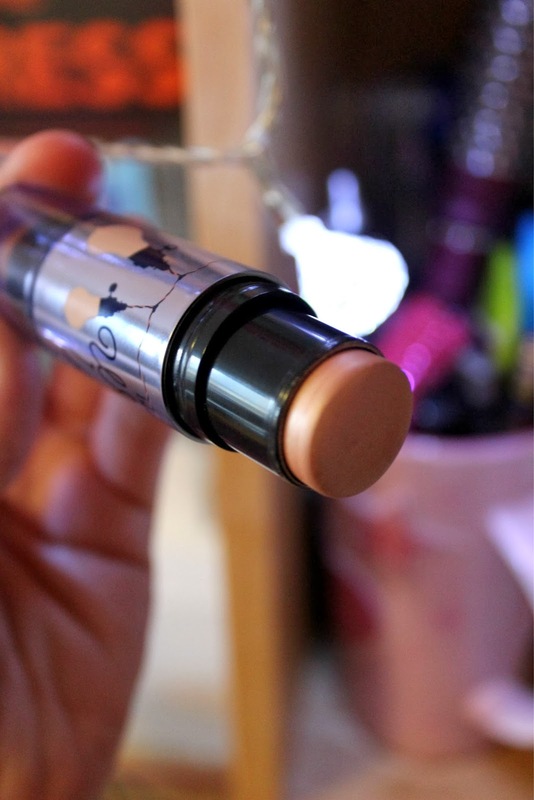 It's almost like a lipstick, in the sense that you twist it upwards to pop out the highlighter stick. Consistency wise, It's very smooth, easy to blend and you can build it up to the amount you want to have. For it's texture, it is rather buttery and silky - but I actually like that in comparison to other wet, brush highlighters such as L'oreal and YSL's products. 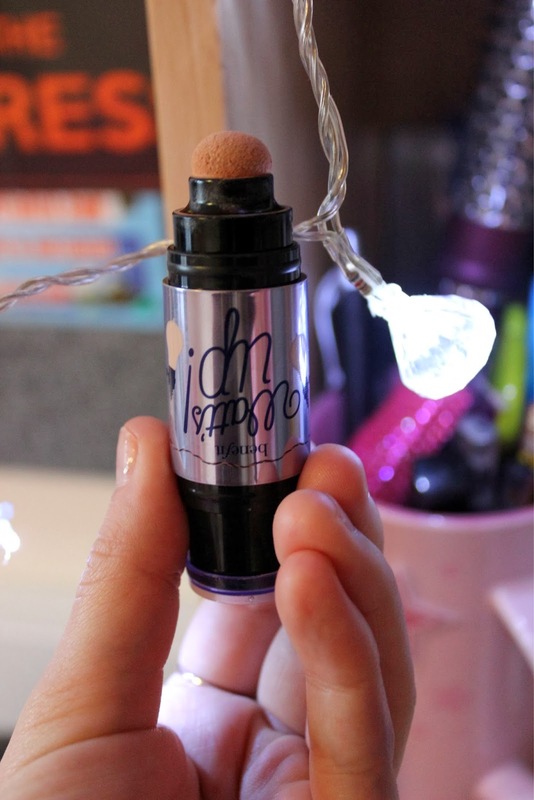 It also has a round sponge applicator, (which you can see below) as to blend the highlighter in. 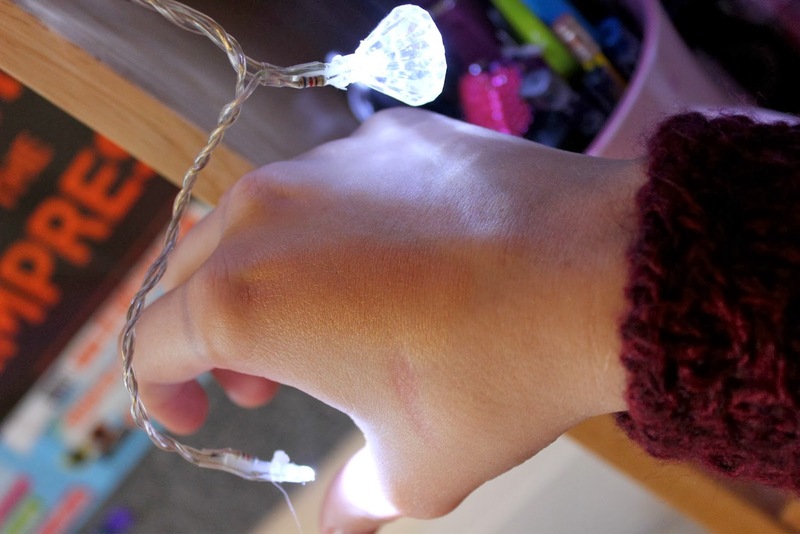 Surprisingly, it works really well, as I would usually use a makeup brush to do this. In the two images below, you can see Watts Up both blended and without being blended on my skin. 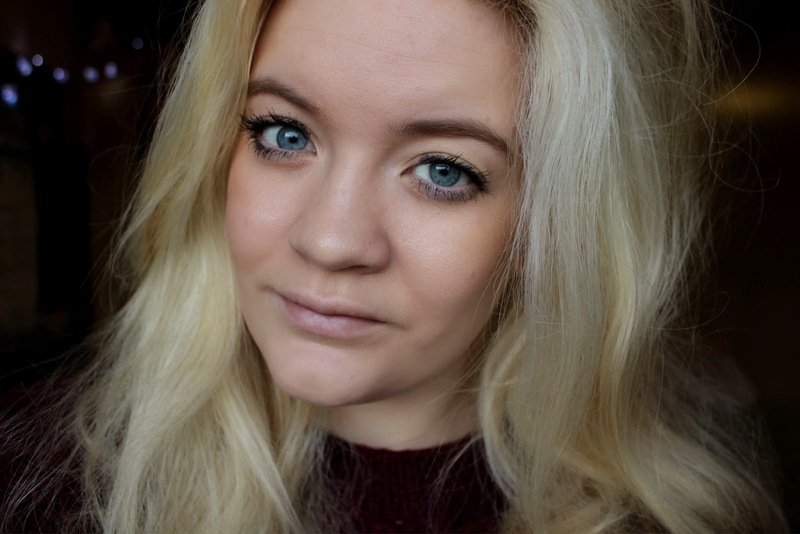 As you can see, I'm quite a pale person, and at first the highlighter looks quite orangey looking and cakey. 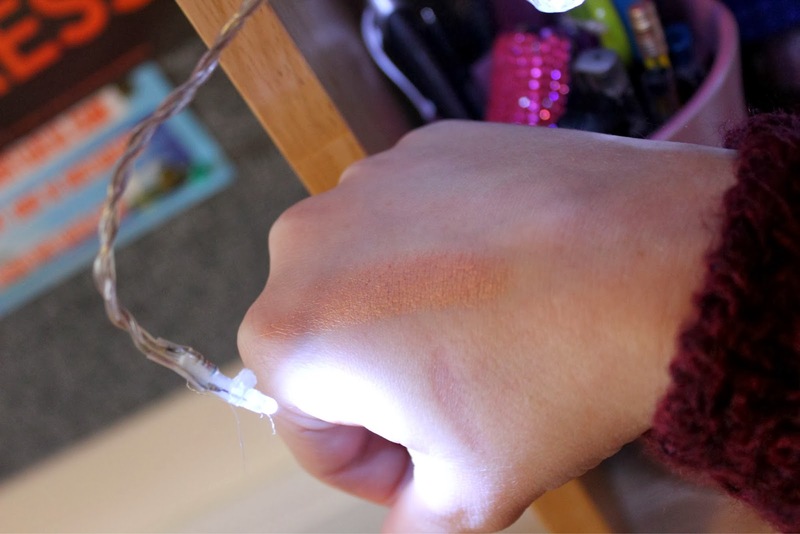 However, once it's been throughly blended in, it leaves a lovely subtle shimmer and sparkle to the skin. 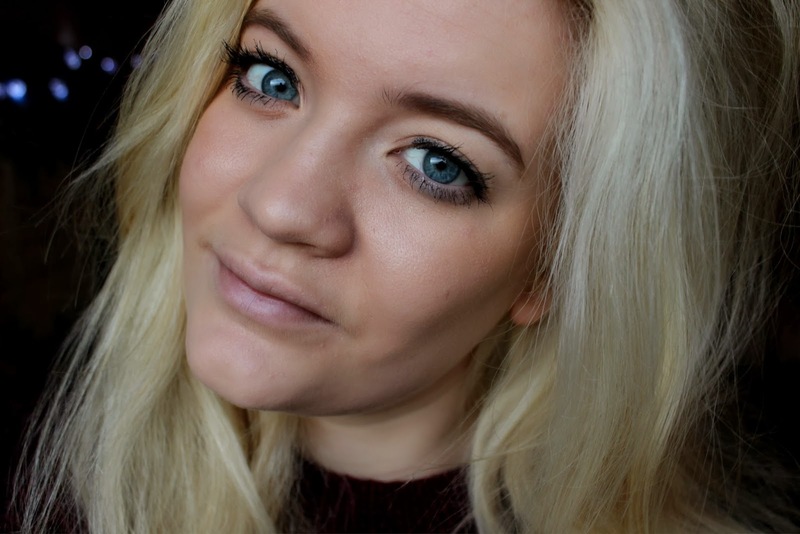 It doesn't look too much, and it's really lovely to apply on your cheekbones and brow bone. Would you buy this product? Do you have it, if so what do you think? Or do you have any other highlighter?